Sloane Stephens’ dream of becoming a tennis pro spawned in Fresno. The No. 41-ranked singles player in the world is hoping she can help create a similar passion and dream other Fresno youths. 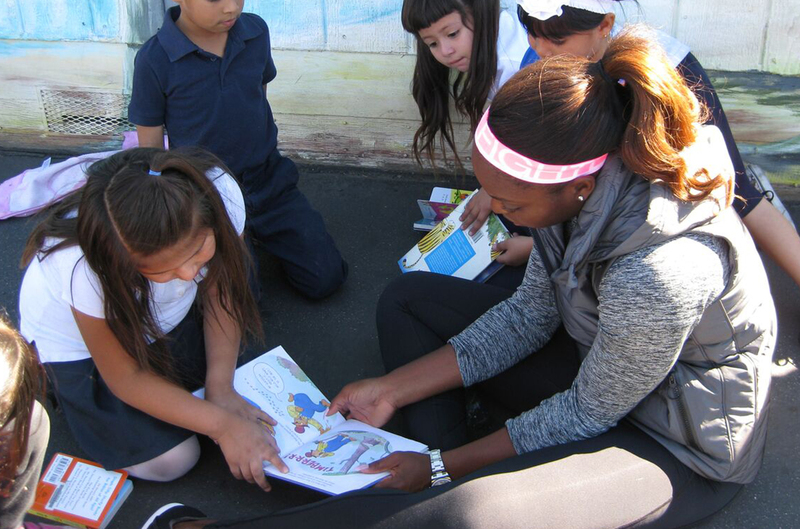 Through the help of the USTA Foundation that awarded a $20,000 grant to the Sloane Stephens Foundation, Stephens has partnered with the Fresno County Office of Education to expand tennis programs in local elementary and middle schools. The grant will cover a portion of the costs for coaching and equipment, affecting more than 240 area youths ages and 10 and under from economically disadvantaged communities. “I’d like to see as many children as possible in Fresno get exposed to the incredible benefits of tennis,” Stephens said via e-mail. “You never know what might happen when a child learns something new and fun — it can be a lifelong passion. Stephens’ foundation, through separate funds, also plans to help line the blacktop at the Edison-Bethune Charter Academy that help introduce children to the dimensions of a smaller tennis court, and help promote tennis further in Fresno, the Compton Unified School District and in Fort Lauderdale, Fla. The USTA grant money in particular will help the Fresno County Office of Education keep track and analyze data whether grades, class participation and even class attendance is improved when tennis is used as an incentive at Bethune Charter Academy. “Teaching tennis can be a great thing, but education is going to lead to greater success in life,” said Ronald Smith, Stephens’ uncle who serves an executive director to his niece’s foundation. “No matter how good of a player you are, there are life skills you have to build. The hope is tennis will make kids more well rounded. Stephens, 21, has won close to $3 million in her career and been ranked among the top 100 women’s tennis players in the world for the past five years, including a No. 12 ranking to finish 2013. Stephens grew up in Fresno and began playing tennis as early as 9 years old at Sierra Sport and Racquet Club through pro Francisco Gonzalez. By 10, Stephens moved to Florida to enhance her skills at a tennis academy and learn from Andy Brandi, the national coach at the United States Tennis Association. Stephens lives in Los Angeles but still regularly visits Fresno with many relatives still in town, including her grandparents.